Choosing the location for the setting and staging for the photography shoots has been an important aspect in my earlier project Girls in Uniform. These choices took into account the visual qualities of architecture and landscapes, but in the last few years, the decisions for the site were, to a great extent, based on the location?s history. Many of my locations/sceneries in my works refer to heterotopia; the places and spaces that function in non-hegemonic conditions, and that are simultaneously physical and mental. My latest part of Girls In Uniform was a distinct example of that. 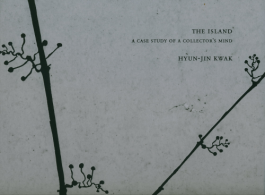 In the project The Island I involved myself more deeply in a special space and its meaning, its history, and especially its symbolic and political significance. In the summer of 2008, right in the heart of Reggio Emilia, some hundred meters from the main square, I found a blind spot in the city. It was a badly run down house with a large iron fence and a padlocked gate, with a sign warning people to stay away. From outside, the house seemed abandoned. This was also the common opinion among those who lived in the city. I was able to enter the building and discovered that the house, which appeared to be a Venetian palace complete with wall and ceiling murals, had to a significant degree been turned into a ruin filled with garbage. But the palace was not abandoned. A 60-year old man, Francesco, lives there along with his young Cuban wife and their newborn son. He was rumored to be a kleptomaniac, or maybe even crazy. The house has been owned by his family for over a century, but has deteriorated over the last 20 years. Some renovation projects have been initiated by Francesco, the last attempt was 10 years ago, but they have all failed. In the garden, there is a crane overgrown with grass, a cement blender, and a wheelbarrow full of hardened cement, as if the renovation stopped suddenly over night. In the midst of all this junk there is a cage housing a crow with missing tail feathers. The owner saved the crow from the jaws of one of his dogs. Francesco explained that the deterioration of the house is his own fault, due to his inability to get rid of possessions. He admits to being arrested by the police on several different occasions for stealing things like doorsand large gates. Instead of taking care of the house, he has dragged all kinds of stuff inside, while refusing to get rid of all those things that others would consider nothing but junk. During the interview with Francesco, it became clear that he is not crazy at all, but actually has both self-awareness and self-distance. After the research and staging of the photographs in this environment, I return to the house to continue the project between 2008 and 2010. In this work, I make a closer investigation of the history of the house, the family biography and the perception of the house as a deviation from the norm. In The Island, the run down palace is used to portray how a place can challenge a town?s structure, architecturally and socially. I am interested in the possible stories the house holds within itself, and how its ruin-like nature constitute an almost archaeological site, where different sediments of history are made clearer. I also want to describe an aspect of collecting, where it is in a state of constant expansion, to the point where erosion occurs and the collection deteriorates and even decomposes. All of these aspects ? the house?s location within the city, its decay, the collapse of collecting, becoming a slave to one?s possessions ? pose a challenge to a social and political order. I will also try to see how the house reflects specifically Italian conditions, which make possible the existence of this ?living space? in the city center. In this project I work with staged photography, documentary material, interviews and video material. A book is produced with the images and accompanying texts. Here, I collaborate with the artist and author Magnus Bärtås and Gabriella Håkansson, whose interest lies in biography and the psychology of collecting. The two authors for this book where commissioned to write in their own style and from their own artistic standpoint. One who writes an essay based on observations and research on location (Magnus Bärtås) and the other writing fiction based on the study of the visual material provided and her own imagination (Gabriella Håkansson). Involving these two writers who have very different styles of writing, I hope to find distinct artistic utterances and expressions that are raised in a space in between, or in an intersection of fiction, research, documentation and staged photography and they will create layers of dimension in the prismatic collection. The texts are not just illustrations, they stand as profound pieces in their own right.